1. William Gooderham was born 29 Aug, 1790, Scole, Norfolk, England; died 20 Aug, 1881, Toronto, ON, Canada; was buried , St. James Cemetery, Toronto, Ontario, Canada. 2. Sarah Gooderham was born 25 Oct 1816, Portchester Castle, Isle of Wight, England; died 1 Apr 1901, Toronto, ON, Canada. 3. Mariam Gooderham was born Abt 1820, Scole, Norfolk, England; was christened 27 Aug 1820, St. Andrew's Parish, Scole, Norfolk, England. 4. Louisa Gooderham was born 13 Feb 1822, Scole, Norfolk, England; died 9 Mar 1908, Toronto, ON, Canada. 5. William Gooderham, jr. was born 24 Apr 1824, Scole, Norfolk, England; died 12 Sep 1889, Toronto, ON, Canada. 6. James Gooderham was born 29 Dec 1825, Scole, Norfolk, England; died 10 May 1879, Toronto, ON, Canada. 7. Mildred Gooderham was born Abt 1828, Scole, Norfolk, England; died 23 Dec 1890, Toronto, ON, Canada. 8. George Gooderham was born 14 Mar 1830, Scole, Norfolk, England; died 1 May 1905, Toronto, ON, Canada. 9. Edward Gooderham was born 17 Feb 1832, Scole, Norfolk, England; died 23 Apr 1834, Toronto, ON, Canada; was buried , St. James Cemetery, Toronto, Ontario, Canada. 10. Henry Gooderham was born 4 Apr 1834, Toronto, ON, Canada; died 4 Nov 1916, Toronto, ON, Canada; was buried , St. James Cemetery, Toronto, Ontario, Canada. 11. Alfred Lee Gooderham was born 28 Aug 1836, Toronto, ON, Canada; died 21 Apr 1926, Toronto, ON, Canada; was buried , Mount Pleasant Cemetery, Toronto, ON, Canada. 12. Anne Elizabeth Gooderham was born 13 Feb 1839, Toronto, ON, Canada; died c 1841, Toronto, ON, Canada; was buried , St. James Cemetery, Toronto, Ontario, Canada. 13. Robert Turner Gooderham was born 11 Jul 1841, Toronto, ON, Canada; died 1 Feb 1913, Toronto, ON, Canada; was buried , St. James Cemetery, Toronto, Ontario, Canada. 14. Harriet Anne Gooderham was born 11 Jul 1841, Toronto, ON, Canada; died 3 Jul 1912, Toronto, ON, Canada; was buried , Mount Pleasant Cemetery, Toronto, ON, Canada. 15. Charles Horace Gooderham was born 18 Feb 1844, Toronto, ON, Canada; died 18 Oct 1904, Toronto, ON, Canada; was buried , St. James Cemetery, Toronto, Ontario, Canada. 16. Victoria Gooderham was born 12 Apr 1846, Toronto, ON, Canada; died 1922. 2. Sarah Gooderham (1.William1) was born 25 Oct 1816, Portchester Castle, Isle of Wight, England; died 1 Apr 1901, Toronto, ON, Canada. 17. Christopher Charles Gooderham Latham was born 1836, Toronto, ON, Canada. 18. Samuel Henry Latham was born 1838, Toronto, ON, Canada; died 1838, Toronto, ON, Canada. 19. Sarah Ann Latham was born 1839, Toronto, ON, Canada; died 1840, Toronto, ON, Canada. 20. Robert Henry Latham was born 1841, Toronto, ON, Canada; died 6 Jun 1918, Toronto, ON, Canada. 21. Elizabeth Latham was born 1847, Toronto, ON, Canada. 22. James Latham was born 1849, Toronto, ON, Canada. 23. Sarah Georgina Latham was born 1852, Toronto, ON, Canada. 24. William Turner was born 1857. 25. Francis Turner was born 1859. 3. Mariam Gooderham (1.William1) was born Abt 1820, Scole, Norfolk, England; was christened 27 Aug 1820, St. Andrew's Parish, Scole, Norfolk, England. 4. Louisa Gooderham (1.William1) was born 13 Feb 1822, Scole, Norfolk, England; died 9 Mar 1908, Toronto, ON, Canada. 26. Harriet Rodwell Walker was born 1851; died 1921. 27. Louisa Walker was born 7 Feb 1853; died 24 Jul 1938. 28. James Reynell Walker was born 14 Nov 1859; died 14 Nov 1927. 29. Annie Elizabeth Walker was born 1 Mar 1862; died 14 Jun 1947. 30. John Henry Walker was born 19 Dec 1856; died 25 Aug 1859. 31. William Gooderham Walker was born 15 Nov 1854; died 13 Nov 1861. 32. Charles William Walker was born 29 Nov 1844; died 23 Jan 1905. 33. Mary Walker was born 15 Apr 1842; died 14 Sep 1843. 5. William Gooderham, jr. (1.William1) was born 24 Apr 1824, Scole, Norfolk, England; died 12 Sep 1889, Toronto, ON, Canada. 6. James Gooderham (1.William1) was born 29 Dec 1825, Scole, Norfolk, England; died 10 May 1879, Toronto, ON, Canada. 34. Elizabeth Kate Gooderham was born 1857, Toronto, ON, Canada; died 13 Mar 1948, Toronto, ON, Canada. 7. Mildred Gooderham (1.William1) was born Abt 1828, Scole, Norfolk, England; died 23 Dec 1890, Toronto, ON, Canada. 35. Harriet Crampton was born c. 1855. 36. William James Crampton was born c. 1860, United States of America. 8. George Gooderham (1.William1) was born 14 Mar 1830, Scole, Norfolk, England; died 1 May 1905, Toronto, ON, Canada. 41. William George Gooderham, I was born 5 Jan, 1853, Toronto, ON, Canada; died 27 Oct, 1935, Toronto, ON, Canada. 42. Harriet Victoria Gooderham was born 31 Jan 1855, Toronto, ON, Canada; died 12 Sep 1951, Toronto, ON, Canada; was buried , Mount Pleasant Cemetery, Toronto, ON, Canada. 43. Elizabeth Louisa Gooderham was born 25 Feb 1857, Toronto, ON, Canada; died 16 Aug 1878, Toronto, ON, Canada; was buried , St. James Cemetery, Toronto, Ontario, Canada. 44. Adelaide Mary Gooderham was born 18 May 1859; died 16 Nov 1933; was buried , St. James Cemetery, Toronto, Ontario, Canada. 45. Albert Edward Gooderham, Sr. was born 2 Jun 1861, Toronto, ON, Canada; died 25 Apr 1935, Toronto, ON, Canada; was buried , St. James Cemetery, Toronto, Ontario, Canada. 46. Charlotte Olive Gooderham was born 5 Sep 1863, Toronto, ON, Canada; died 23 Aug 1866, Toronto, ON, Canada; was buried , St. James Cemetery, Toronto, Ontario, Canada. 47. Florence Josephine Gooderham was born 8 Jan 1866, Toronto, ON, Canada; died 16 Feb1903, Toronto, ON, Canada; was buried , St. James Cemetery, Toronto, Ontario, Canada. 48. George Horace Gooderham was born 18 Apr 1868, Toronto, ON, Canada; died 22 Dec 1942, Toronto, ON, Canada; was buried , Mount Pleasant Cemetery, Toronto, ON, Canada. 49. Eleanor Gertrude Gooderham was born 14 Dec 1870, Toronto, ON, Canada; died 25 Jul 1958, Washington, DC, USA; was buried , Pine Grove Cemetery, Middletown, Connecticut. 50. 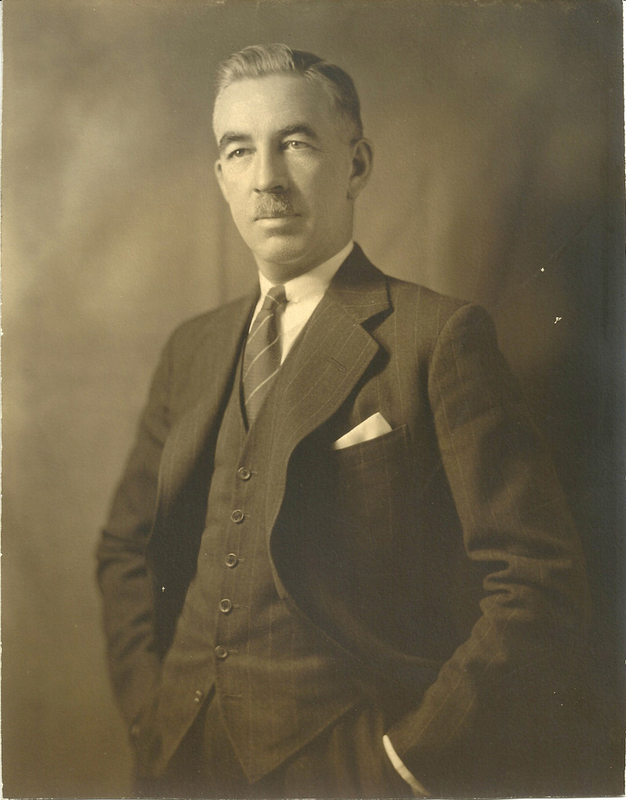 Melville Ross Gooderham was born 10 Jan 1877, Toronto, ON, Canada; died 25 Nov 1951, Toronto, ON, Canada. 51. Lillian May Gooderham was born 4 May 1874, Toronto, ON, Canada; died 22 Sep 1967, Toronto, ON, Canada; was buried , St. James Cemetery, Toronto, Ontario, Canada. 52. Violet Dean Gooderham was born 26 Mar1879, Toronto, ON, Canada; died 26 Jan 1927, Boston, Massachusetts, USA; was buried , Mount Auburn Cemetery, Cambridge, Massachusettes. 9. Edward Gooderham (1.William1) was born 17 Feb 1832, Scole, Norfolk, England; died 23 Apr 1834, Toronto, ON, Canada; was buried , St. James Cemetery, Toronto, Ontario, Canada. 10. Henry Gooderham (1.William1) was born 4 Apr 1834, Toronto, ON, Canada; died 4 Nov 1916, Toronto, ON, Canada; was buried , St. James Cemetery, Toronto, Ontario, Canada. 53. Florence Gooderham Hamilton was born 17 Dec 1872, Toronto, ON, Canada; died 22 May 1955; was buried , St. James Cemetery, Toronto, Ontario, Canada. 11. Alfred Lee Gooderham (1.William1) was born 28 Aug 1836, Toronto, ON, Canada; died 21 Apr 1926, Toronto, ON, Canada; was buried , Mount Pleasant Cemetery, Toronto, ON, Canada. 54. Edward George Gooderham was born 3 Aug 1859, Toronto, ON, Canada; died 10 Mar 1938, Toronto, ON, Canada; was buried , Mount Pleasant Cemetery, Toronto, ON, Canada. 55. Florence Louise Gooderham was born 5 Mar 1860, Toronto, ON, Canada; died 1861, Toronto, ON, Canada; was buried , St. James Cemetery, Toronto, Ontario, Canada. 56. Walter Herbert Gooderham was born 23 Jun 1861, Toronto, ON, Canada; died 1863, Toronto, ON, Canada; was buried , St. James Cemetery, Toronto, Ontario, Canada. 57. Louise Alexandra Gooderham was born 14 Apr 1865, Toronto, ON, Canada; died 20 Dec 1947, Toronto, ON, Canada; was buried , Mount Pleasant Cemetery, Toronto, ON, Canada. 58. Alice Wilmot Gooderham was born 8 Apr 1867, Toronto, ON, Canada; died 31 Mar 1940, Toronto, ON, Canada; was buried , Mount Pleasant Cemetery, Toronto, ON, Canada. 59. Ida Josephine Gooderham was born 1868, Toronto, ON, Canada; died 11 Jul 1936, Toronto, ON, Canada; was buried , Mount Pleasant Cemetery, Toronto, ON, Canada. 60. Leslie Mary Gooderham was born 1869. 61. 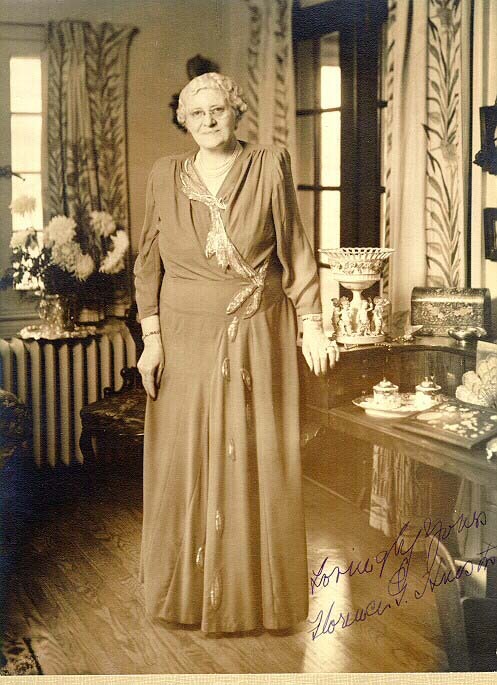 Maggie May Gooderham was born 1871, Woodbridge, Ontario, Canada; died 11 Jun 1953, Toronto, ON, Canada. 62. Ethel Ross Gooderham was born 19 Nov 1875, Vaughn, Ontario, Canada; died 26 Dec 1875, Toronto, ON, Canada. 12. Anne Elizabeth Gooderham (1.William1) was born 13 Feb 1839, Toronto, ON, Canada; died c 1841, Toronto, ON, Canada; was buried , St. James Cemetery, Toronto, Ontario, Canada. 13. Robert Turner Gooderham (1.William1) was born 11 Jul 1841, Toronto, ON, Canada; died 1 Feb 1913, Toronto, ON, Canada; was buried , St. James Cemetery, Toronto, Ontario, Canada. 63. Maude Adelaide Gooderham was born 1869, Toronto, ON, Canada. 64. Robert George Lewis Gooderham was born 28 Oct 1870, Toronto, ON, Canada; died 16 Sep 1872, Toronto, ON, Canada; was buried , St. James Cemetery, Toronto, Ontario, Canada. 65. Margaret Lewis Gooderham was born 1 Jan 1873, Toronto, ON, Canada; died 14 Jan 1873, Toronto, ON, Canada; was buried , St. James Cemetery, Toronto, Ontario, Canada. 66. Eva Clarabel Gooderham was born 30 Nov 1873, Toronto, ON, Canada; died 16 Feb 1951, Toronto, ON, Canada. 67. Ethel Lewis Gooderham was born 5 Jan 1878, Toronto, ON, Canada; died 9 Jul 1878, Toronto, ON, Canada; was buried , St. James Cemetery, Toronto, Ontario, Canada. 68. Ada Lewis Gooderham was born 20 Aug 1879, Toronto, ON, Canada; died 10 Jun 1942, Toronto, ON, Canada; was buried , St. James Cemetery, Toronto, Ontario, Canada. 69. Victor Lewis Gooderham was born 5 May 1881, Toronto, ON, Canada; died 12 Mar 1888, Toronto, ON, Canada; was buried , St. James Cemetery, Toronto, Ontario, Canada. 14. Harriet Anne Gooderham (1.William1) was born 11 Jul 1841, Toronto, ON, Canada; died 3 Jul 1912, Toronto, ON, Canada; was buried , Mount Pleasant Cemetery, Toronto, ON, Canada. 15. Charles Horace Gooderham (1.William1) was born 18 Feb 1844, Toronto, ON, Canada; died 18 Oct 1904, Toronto, ON, Canada; was buried , St. James Cemetery, Toronto, Ontario, Canada. 70. Margaret Victoria Gooderham was born 19 Oct 1864, Toronto, ON, Canada. 71. Emily Olive Gooderham was born 13 Sep 1867, Toronto, ON, Canada; died 20 Jan 1883, Toronto, ON, Canada; was buried , St. James Cemetery, Toronto, Ontario, Canada. 72. Mabel May Gooderham was born 16 Jan 1870, Toronto, ON, Canada; died 11 Feb 1944, Toronto, ON, Canada. 73. Dora Beatrice Gooderham was born 4 May 1872, Toronto, ON, Canada; died 23 Feb 1914, Philadelphia, Pennsylvania, USA. 74. Helena Madeline Gooderham was born 5 Jul 1874, Toronto, ON, Canada; died 14 Jan 1962, Oakland, California, USA. 75. Charles Horace Gooderham was born 16 Aug 1876, Toronto, ON, Canada. 76. Henry Folwell Gooderham was born 16 Aug 1876, Toronto, ON, Canada; died 24 May 1944, Toronto, ON, Canada; was buried , Mount Pleasant Cemetery, Toronto, ON, Canada. 77. James Horace Gooderham was born 30 Aug 1879, Toronto, ON, Canada; died 19 Jun 1935, Battleford, Saskatchewan, Canada. 78. Muriel Irene Gooderham was born 23 Jul 1881, Toronto, ON, Canada; died 3 Feb 1892, Toronto, ON, Canada. 79. Grace Adelia Gooderham was born 16 Dec 1883, Toronto, ON, Canada; died 1975. 16. Victoria Gooderham (1.William1) was born 12 Apr 1846, Toronto, ON, Canada; died 1922. 80. William Gooderham Wilson was born 5 Sep 1870. 81. Lillian Viola Wilson Cameron was born 15 Nov 1878. 82. Ida Victoria Wilson Cameron was born 21 Feb 1877, Toronto, ON, Canada. 83. Kenneth MacKenzie Cameron was born 1 Nov 1880, Strathroy, Ontario, Canada. 84. Norman Keith Cameron was born 7 Jan 1883, Strathroy, Ontario, Canada. 85. Evan Guthrie Cameron was born 18 May 1885, Strathroy, Ontario, Canada. 17. Christopher Charles Gooderham Latham (2.Sarah2, 1.William1) was born 1836, Toronto, ON, Canada. 18. Samuel Henry Latham (2.Sarah2, 1.William1) was born 1838, Toronto, ON, Canada; died 1838, Toronto, ON, Canada. 19. Sarah Ann Latham (2.Sarah2, 1.William1) was born 1839, Toronto, ON, Canada; died 1840, Toronto, ON, Canada. 20. Robert Henry Latham (2.Sarah2, 1.William1) was born 1841, Toronto, ON, Canada; died 6 Jun 1918, Toronto, ON, Canada. 86. John Henry Latham was born 1860. 87. Georgina Latham was born 1869. 21. Elizabeth Latham (2.Sarah2, 1.William1) was born 1847, Toronto, ON, Canada. 22. James Latham (2.Sarah2, 1.William1) was born 1849, Toronto, ON, Canada. 23. Sarah Georgina Latham (2.Sarah2, 1.William1) was born 1852, Toronto, ON, Canada. 24. William Turner (2.Sarah2, 1.William1) was born 1857. 25. Francis Turner (2.Sarah2, 1.William1) was born 1859. 26. Harriet Rodwell Walker (4.Louisa2, 1.William1) was born 1851; died 1921. 88. Arthur Elgin Rodwell Snider was born 29 Oct 1873; died 1890. 89. Harvey Grafton Snider was born 31 Jan, 1875, Toronto, ON, Canada; died 1944. 90. William Hartley Griffin Snider was born 17 Jun 1877, Toronto, ON, Canada; died 1937. 27. Louisa Walker (4.Louisa2, 1.William1) was born 7 Feb 1853; died 24 Jul 1938. 91. Austin Percy Leys Watson was born 12 Jun 1876; died 28 May 1941. 92. Irene Clara Belle Watson was born 30 Jul 1884; died 31 May 1956. 28. James Reynell Walker (4.Louisa2, 1.William1) was born 14 Nov 1859; died 14 Nov 1927. 29. Annie Elizabeth Walker (4.Louisa2, 1.William1) was born 1 Mar 1862; died 14 Jun 1947. 30. John Henry Walker (4.Louisa2, 1.William1) was born 19 Dec 1856; died 25 Aug 1859. 31. William Gooderham Walker (4.Louisa2, 1.William1) was born 15 Nov 1854; died 13 Nov 1861. 32. Charles William Walker (4.Louisa2, 1.William1) was born 29 Nov 1844; died 23 Jan 1905. 33. Mary Walker (4.Louisa2, 1.William1) was born 15 Apr 1842; died 14 Sep 1843. 34. Elizabeth Kate Gooderham (6.James2, 1.William1) was born 1857, Toronto, ON, Canada; died 13 Mar 1948, Toronto, ON, Canada. 95. Madeline Gooderham Ellis was born 27 May 1882, Toronto, ON, Canada. 96. Reginald Cain Ellis was born 11 Sept 1883, Toronto, ON, Canada; died 11 Aug 1965, Toronto, ON, Canada; was buried , Mount Pleasant Cemetery, Toronto, ON, Canada. 97. Muriel Gwendoline Ellis was born 24 Nov 1884, Toronto, ON, Canada. 98. Mona Gawne Ellis was born 8 Apr 1886, Toronto, ON, Canada. 99. Kathleen Parr Ellis was born 26 May 1891, Toronto, ON, Canada; died 27 Jan 1958, Toronto, ON, Canada; was buried , Mount Pleasant Cemetery, Toronto, ON, Canada. 100. Kenneth Gibbs Quirk Ellis was born 21 Dec 1898, Toronto, ON, Canada; died 8 Apr 1957, Toronto, ON, Canada. 35. Harriet Crampton (7.Mildred2, 1.William1) was born c. 1855. 36. William James Crampton (7.Mildred2, 1.William1) was born c. 1860, United States of America. 41. William George Gooderham, I (8.George2, 1.William1) was born 5 Jan, 1853, Toronto, ON, Canada; died 27 Oct, 1935, Toronto, ON, Canada. 101. William Hargraft Gooderham was born 7 Nov, 1875, Toronto, ON, Canada; died 20 May, 1929, Toronto, ON, Canada. 102. Aileen Gooderham was born 7 Aug 1877, Toronto, ON, Canada; died 13 Nov 1952, Toronto, ON, Canada; was buried , St. James Cemetery, Toronto, Ontario, Canada. 103. George Edgar Gooderham was born 17 Sep 1879, Toronto, ON, Canada; died 6 Feb 1953. 104. Harold Dean Gooderham was born 19 Jun 1881, Toronto, ON, Canada; died 4 May 1945, Caufield, British Columbia, Canada. 105. Edward Douglas Gooderham was born 17 Feb 1883, Toronto, ON, Canada; died 7 Dec 1950, Toronto, ON, Canada. 106. Gordon Stewart Gooderham, II was born 30 Nov 1884, Toronto, ON, Canada; died c.1958, Oakville, Ontario, Canada. 108. John Leys Gooderham was born 2 Jul 1888, Toronto, ON, Canada; died 18 Jan 1967, Toronto, ON, Canada. 109. Eric Stanley Gooderham was born 8 Aug 1890, Toronto, ON, Canada; died 24 Oct 1953, Oakville, Ontario, Canada. 110. Eleanor Mary Gooderham was born 30 Aug 1892, Toronto, ON, Canada; died 7 Jun 1970, Toronto, ON, Canada; was buried , St. James Cemetery, Toronto, Ontario, Canada. 111. Alexander Leslie Gooderham was born 7 Oct 1898, Toronto, ON, Canada. 42. Harriet Victoria Gooderham (8.George2, 1.William1) was born 31 Jan 1855, Toronto, ON, Canada; died 12 Sep 1951, Toronto, ON, Canada; was buried , Mount Pleasant Cemetery, Toronto, ON, Canada. 112. William Gooderham Blackstock was born 25 Nov 1880, Toronto, ON, Canada; died 4 Jul 1920, Toronto, ON, Canada. 113. Thomas Gibbs Blackstock, II was born 28 Jul 1883, Toronto, ON, Canada; died 25 Feb 1888, Toronto, ON, Canada. 114. Elizabeth Dean Blackstock was born 24 Aug 1886, Toronto, ON, Canada. 115. Gibbs Blackstock was born 19 May 1888, Toronto, ON, Canada; died 28 Mar 1953, Toronto, ON, Canada; was buried , Mount Pleasant Cemetery, Toronto, ON, Canada. 116. Barbara Blackstock was born 25 Jul 1890, United Kingdom; died 2 Sep 1980, Toronto, ON, Canada; was buried , Mount Pleasant Cemetery, Toronto, ON, Canada. 117. George Gooderham Blackstock was born 29 Sep 1892, Toronto, ON, Canada; died 9 Nov 1945, Toronto, ON, Canada. 119. Dorothy Mary Gooderham Blackstock was born 5 Aug 1896, Toronto, ON, Canada; died 9 May 1966, Toronto, ON, Canada; was buried , Mount Pleasant Cemetery, Toronto, ON, Canada. 43. Elizabeth Louisa Gooderham (8.George2, 1.William1) was born 25 Feb 1857, Toronto, ON, Canada; died 16 Aug 1878, Toronto, ON, Canada; was buried , St. James Cemetery, Toronto, Ontario, Canada. 120. George Gooderham Mitchell was born 15 Aug 1878, Toronto, ON, Canada; died 19 Mar 1938, Toronto, ON, Canada. 44. Adelaide Mary Gooderham (8.George2, 1.William1) was born 18 May 1859; died 16 Nov 1933; was buried , St. James Cemetery, Toronto, Ontario, Canada. 121. Douglas Gooderham Ross was born 15 Dec 1883, Toronto, ON, Canada; died 24 Aug 1961, Toronto, ON, Canada. 122. Stewart Dean Ross was born 17 Oct 1887, Toronto, ON, Canada; died 18 Aug 1891, Toronto, ON, Canada. 123. James Wells Ross was born 9 Aug 1890, Toronto, ON, Canada; died 17 May 1974, Toronto, ON, Canada; was buried , St. James Cemetery, Toronto, Ontario, Canada. 124. Elsie Stewart Ross was born 10 Sept 1893, Toronto, ON, Canada; died 22 May 1983, Toronto, ON, Canada; was buried , Mount Pleasant Cemetery, Toronto, ON, Canada. 125. Anne Jean Ross was born 17 Mar 1896, Toronto, ON, Canada. 45. Albert Edward Gooderham, Sr. (8.George2, 1.William1) was born 2 Jun 1861, Toronto, ON, Canada; died 25 Apr 1935, Toronto, ON, Canada; was buried , St. James Cemetery, Toronto, Ontario, Canada. 126. Albert Edward Gooderham, Jr. was born 16 Oct 1885, Toronto, ON, Canada; died 22 Jan 1943, Brooklin, Whitby, Ontario, Canada. 127. Charlotte Olive Gooderham was born 10 May 1887, Toronto, ON, Canada; died 12 Mar 1969, Toronto, ON, Canada; was buried , Mount Pleasant Cemetery, Toronto, ON, Canada. 128. Herbert Ross Gooderham was born 8 Mar 1889, Toronto, ON, Canada; died 13 Feb 1899, Toronto, ON, Canada. 129. Melville Stuart Gooderham was born 9 Aug 1891, Toronto, ON, Canada; died 20 Feb 1967, Toronto, ON, Canada; was buried , St. James Cathedral, Toronto. 130. Marietta Isabel Gooderham was born 4 Mar 1896, Toronto, ON, Canada; died 12 Jul 1960, Toronto, ON, Canada; was buried , St. James Cemetery, Toronto, Ontario, Canada. 131. Victoria Louise Gooderham was born 24 May 1902, Toronto, ON, Canada; died 23 Dec 1984, Toronto, ON, Canada. 46. Charlotte Olive Gooderham (8.George2, 1.William1) was born 5 Sep 1863, Toronto, ON, Canada; died 23 Aug 1866, Toronto, ON, Canada; was buried , St. James Cemetery, Toronto, Ontario, Canada. 47. Florence Josephine Gooderham (8.George2, 1.William1) was born 8 Jan 1866, Toronto, ON, Canada; died 16 Feb1903, Toronto, ON, Canada; was buried , St. James Cemetery, Toronto, Ontario, Canada. 132. Marjorie Josephine Brouse was born 10 Nov 1887, Toronto, ON, Canada; died 13 May 1962, Toronto, ON, Canada; was buried , St. James Cemetery, Toronto, Ontario, Canada. 133. WIlliam Henry Davenport Brouse was born 4 Sep 1891, Toronto, ON, Canada; died 11 Nov 1971, Toronto, ON, Canada; was buried , St. James Cemetery, Toronto, Ontario, Canada. 134. Eldridge Dean Gooderham Brouse was born 3 Apr 1895, Toronto, ON, Canada; died 5 Dec 1952, Toronto, ON, Canada; was buried , St. James Cemetery, Toronto, Ontario, Canada. 135. Paul Coursollis Brouse was born 3 Jan 1898, Toronto, ON, Canada; died 11 Dec 1964, Toronto, ON, Canada. 136. Harriet Dean Brouse was born 2 Mar 1900, Toronto, ON, Canada; died 14 Feb 1965, Toronto, ON, Canada; was buried , St. James Cemetery, Toronto, Ontario, Canada. 48. George Horace Gooderham (8.George2, 1.William1) was born 18 Apr 1868, Toronto, ON, Canada; died 22 Dec 1942, Toronto, ON, Canada; was buried , Mount Pleasant Cemetery, Toronto, ON, Canada. 137. Eveline Grace Gooderham was born 12 Jul 1889, Toronto, ON, Canada; died 16 Dec 1984, Toronto, ON, Canada; was buried , Mount Pleasant Cemetery, Toronto, ON, Canada. 139. Jessie Maude Gooderham was born 28 Feb 1893, Toronto, ON, Canada; died 12 Oct 1993, Toronto, ON, Canada; was buried , Mount Pleasant Cemetery, Toronto, ON, Canada. 140. Harriet Mary Gooderham was born 16 Oct 1902, Toronto, ON, Canada; died 7 May 1997, Toronto, ON, Canada. 141. Henry Stephen Gooderham was born 5 Aug 1894, Toronto, ON, Canada; died 7 Jun 1976, Toronto, ON, Canada; was buried , Mount Pleasant Cemetery, Toronto, ON, Canada. 49. Eleanor Gertrude Gooderham (8.George2, 1.William1) was born 14 Dec 1870, Toronto, ON, Canada; died 25 Jul 1958, Washington, DC, USA; was buried , Pine Grove Cemetery, Middletown, Connecticut. 143. Margaret Campion Acheson was born 5 Oct 1895, Middleton, Connecticut, USA; died 23 Jul 1960, Washington, DC, USA; was buried , Arlington National Cemetery, USA. 144. Edward Campion Acheson, Jr. was born 15 Sep 1902, Middleton, Connecticut, USA; died 22 Sep 1966, Great Falls, Vermont, USA. 50. Melville Ross Gooderham (8.George2, 1.William1) was born 10 Jan 1877, Toronto, ON, Canada; died 25 Nov 1951, Toronto, ON, Canada. 145. Kathleen Isobel Gooderham was born 1 Nov 1900, Toronto, ON, Canada; died 18 Mar 1970, Niagara on the Lake, Ontario, Canada. 146. Charlotte Ross Gooderham was born 28 Jul 1912, Toronto, ON, Canada; died 24 Aug 1999, Toronto, ON, Canada; was buried , Mount Pleasant Cemetery, Toronto, ON, Canada. 51. Lillian May Gooderham (8.George2, 1.William1) was born 4 May 1874, Toronto, ON, Canada; died 22 Sep 1967, Toronto, ON, Canada; was buried , St. James Cemetery, Toronto, Ontario, Canada. 52. Violet Dean Gooderham (8.George2, 1.William1) was born 26 Mar1879, Toronto, ON, Canada; died 26 Jan 1927, Boston, Massachusetts, USA; was buried , Mount Auburn Cemetery, Cambridge, Massachusettes. 150. John Reginald Bird was born 21 Jun 1906, Boston, Massachusetts, USA; died Jan 1987. 151. Mary Elizabeth Bird was born Dec 1910, Boston, Massachusetts, USA. 152. Patricia May Bird was born 14 May1914, Boston, Massachusetts, USA. 53. Florence Gooderham Hamilton (10.Henry2, 1.William1) was born 17 Dec 1872, Toronto, ON, Canada; died 22 May 1955; was buried , St. James Cemetery, Toronto, Ontario, Canada. 155. Gladys Webster Huestis was born 9 Mar 1893, Toronto, ON, Canada; died 1969. 156. Doris Louise Huestis was born 27 Oct 1894, Toronto, ON, Canada; died 1989. 158. Marion Gooderham Huestis was born 22 Sep 1898, Toronto, ON, Canada; died 19 May 1971, England. 54. Edward George Gooderham (11.Alfred2, 1.William1) was born 3 Aug 1859, Toronto, ON, Canada; died 10 Mar 1938, Toronto, ON, Canada; was buried , Mount Pleasant Cemetery, Toronto, ON, Canada. 159. Edith Muriel Gooderham was born 17 Jul 1883, Toronto, ON, Canada. 161. Lyman Edward Gooderham was born 17 Apr 1887, Toronto, ON, Canada; died 1 Nov 1925, Detroit, Wayne, Michigan, USA; was buried , Mount Pleasant Cemetery, Toronto, ON, Canada. 163. Grant Armstrong Gooderham was born 8 Jan 1892, Toronto, ON, Canada; died May 1919, Toronto, ON, Canada; was buried , Mount Pleasant Cemetery, Toronto, ON, Canada. 55. Florence Louise Gooderham (11.Alfred2, 1.William1) was born 5 Mar 1860, Toronto, ON, Canada; died 1861, Toronto, ON, Canada; was buried , St. James Cemetery, Toronto, Ontario, Canada. 56. Walter Herbert Gooderham (11.Alfred2, 1.William1) was born 23 Jun 1861, Toronto, ON, Canada; died 1863, Toronto, ON, Canada; was buried , St. James Cemetery, Toronto, Ontario, Canada. 57. Louise Alexandra Gooderham (11.Alfred2, 1.William1) was born 14 Apr 1865, Toronto, ON, Canada; died 20 Dec 1947, Toronto, ON, Canada; was buried , Mount Pleasant Cemetery, Toronto, ON, Canada. 58. Alice Wilmot Gooderham (11.Alfred2, 1.William1) was born 8 Apr 1867, Toronto, ON, Canada; died 31 Mar 1940, Toronto, ON, Canada; was buried , Mount Pleasant Cemetery, Toronto, ON, Canada. 59. Ida Josephine Gooderham (11.Alfred2, 1.William1) was born 1868, Toronto, ON, Canada; died 11 Jul 1936, Toronto, ON, Canada; was buried , Mount Pleasant Cemetery, Toronto, ON, Canada. 168. Joyce Harvey Warden was born 1 Mar 1906; died 1996. 60. Leslie Mary Gooderham (11.Alfred2, 1.William1) was born 1869. 61. Maggie May Gooderham (11.Alfred2, 1.William1) was born 1871, Woodbridge, Ontario, Canada; died 11 Jun 1953, Toronto, ON, Canada. 62. Ethel Ross Gooderham (11.Alfred2, 1.William1) was born 19 Nov 1875, Vaughn, Ontario, Canada; died 26 Dec 1875, Toronto, ON, Canada. 63. Maude Adelaide Gooderham (13.Robert2, 1.William1) was born 1869, Toronto, ON, Canada. 64. Robert George Lewis Gooderham (13.Robert2, 1.William1) was born 28 Oct 1870, Toronto, ON, Canada; died 16 Sep 1872, Toronto, ON, Canada; was buried , St. James Cemetery, Toronto, Ontario, Canada. 65. Margaret Lewis Gooderham (13.Robert2, 1.William1) was born 1 Jan 1873, Toronto, ON, Canada; died 14 Jan 1873, Toronto, ON, Canada; was buried , St. James Cemetery, Toronto, Ontario, Canada. 66. Eva Clarabel Gooderham (13.Robert2, 1.William1) was born 30 Nov 1873, Toronto, ON, Canada; died 16 Feb 1951, Toronto, ON, Canada. 67. Ethel Lewis Gooderham (13.Robert2, 1.William1) was born 5 Jan 1878, Toronto, ON, Canada; died 9 Jul 1878, Toronto, ON, Canada; was buried , St. James Cemetery, Toronto, Ontario, Canada. 68. Ada Lewis Gooderham (13.Robert2, 1.William1) was born 20 Aug 1879, Toronto, ON, Canada; died 10 Jun 1942, Toronto, ON, Canada; was buried , St. James Cemetery, Toronto, Ontario, Canada. 69. Victor Lewis Gooderham (13.Robert2, 1.William1) was born 5 May 1881, Toronto, ON, Canada; died 12 Mar 1888, Toronto, ON, Canada; was buried , St. James Cemetery, Toronto, Ontario, Canada. 70. Margaret Victoria Gooderham (15.Charles2, 1.William1) was born 19 Oct 1864, Toronto, ON, Canada. 71. Emily Olive Gooderham (15.Charles2, 1.William1) was born 13 Sep 1867, Toronto, ON, Canada; died 20 Jan 1883, Toronto, ON, Canada; was buried , St. James Cemetery, Toronto, Ontario, Canada. 72. Mabel May Gooderham (15.Charles2, 1.William1) was born 16 Jan 1870, Toronto, ON, Canada; died 11 Feb 1944, Toronto, ON, Canada. 73. Dora Beatrice Gooderham (15.Charles2, 1.William1) was born 4 May 1872, Toronto, ON, Canada; died 23 Feb 1914, Philadelphia, Pennsylvania, USA. 74. Helena Madeline Gooderham (15.Charles2, 1.William1) was born 5 Jul 1874, Toronto, ON, Canada; died 14 Jan 1962, Oakland, California, USA. 177. Douglas Vancourt Castleman was born 23 Aug 1901; died 25 Aug 1956, San Francisco, California, US. 75. Charles Horace Gooderham (15.Charles2, 1.William1) was born 16 Aug 1876, Toronto, ON, Canada. 76. Henry Folwell Gooderham (15.Charles2, 1.William1) was born 16 Aug 1876, Toronto, ON, Canada; died 24 May 1944, Toronto, ON, Canada; was buried , Mount Pleasant Cemetery, Toronto, ON, Canada. 77. James Horace Gooderham (15.Charles2, 1.William1) was born 30 Aug 1879, Toronto, ON, Canada; died 19 Jun 1935, Battleford, Saskatchewan, Canada. 78. Muriel Irene Gooderham (15.Charles2, 1.William1) was born 23 Jul 1881, Toronto, ON, Canada; died 3 Feb 1892, Toronto, ON, Canada. 79. Grace Adelia Gooderham (15.Charles2, 1.William1) was born 16 Dec 1883, Toronto, ON, Canada; died 1975. 80. William Gooderham Wilson (16.Victoria2, 1.William1) was born 5 Sep 1870. 81. Lillian Viola Wilson Cameron (16.Victoria2, 1.William1) was born 15 Nov 1878. 82. Ida Victoria Wilson Cameron (16.Victoria2, 1.William1) was born 21 Feb 1877, Toronto, ON, Canada. 83. Kenneth MacKenzie Cameron (16.Victoria2, 1.William1) was born 1 Nov 1880, Strathroy, Ontario, Canada. 84. Norman Keith Cameron (16.Victoria2, 1.William1) was born 7 Jan 1883, Strathroy, Ontario, Canada. 85. Evan Guthrie Cameron (16.Victoria2, 1.William1) was born 18 May 1885, Strathroy, Ontario, Canada. 86. John Henry Latham (20.Robert3, 2.Sarah2, 1.William1) was born 1860. 87. Georgina Latham (20.Robert3, 2.Sarah2, 1.William1) was born 1869. 88. Arthur Elgin Rodwell Snider (26.Harriet3, 4.Louisa2, 1.William1) was born 29 Oct 1873; died 1890. 89. Harvey Grafton Snider (26.Harriet3, 4.Louisa2, 1.William1) was born 31 Jan, 1875, Toronto, ON, Canada; died 1944. 190. John MacMillan Snider was born 1903; died 1975. 193. James Alexander Snider was born 1910; died 1925. 195. Lois Victoria Snider was born 1922; died 1922. 90. William Hartley Griffin Snider (26.Harriet3, 4.Louisa2, 1.William1) was born 17 Jun 1877, Toronto, ON, Canada; died 1937. 91. Austin Percy Leys Watson (27.Louisa3, 4.Louisa2, 1.William1) was born 12 Jun 1876; died 28 May 1941. 92. Irene Clara Belle Watson (27.Louisa3, 4.Louisa2, 1.William1) was born 30 Jul 1884; died 31 May 1956. 201. Marion Ruth Sturrup was born 26 Jan 1918; died 23 Sept 1993. 95. Madeline Gooderham Ellis (34.Elizabeth3, 6.James2, 1.William1) was born 27 May 1882, Toronto, ON, Canada. 96. Reginald Cain Ellis (34.Elizabeth3, 6.James2, 1.William1) was born 11 Sept 1883, Toronto, ON, Canada; died 11 Aug 1965, Toronto, ON, Canada; was buried , Mount Pleasant Cemetery, Toronto, ON, Canada. 97. Muriel Gwendoline Ellis (34.Elizabeth3, 6.James2, 1.William1) was born 24 Nov 1884, Toronto, ON, Canada. 98. Mona Gawne Ellis (34.Elizabeth3, 6.James2, 1.William1) was born 8 Apr 1886, Toronto, ON, Canada. 99. Kathleen Parr Ellis (34.Elizabeth3, 6.James2, 1.William1) was born 26 May 1891, Toronto, ON, Canada; died 27 Jan 1958, Toronto, ON, Canada; was buried , Mount Pleasant Cemetery, Toronto, ON, Canada. 100. Kenneth Gibbs Quirk Ellis (34.Elizabeth3, 6.James2, 1.William1) was born 21 Dec 1898, Toronto, ON, Canada; died 8 Apr 1957, Toronto, ON, Canada. 101. William Hargraft Gooderham (41.William3, 8.George2, 1.William1) was born 7 Nov, 1875, Toronto, ON, Canada; died 20 May, 1929, Toronto, ON, Canada. 102. Aileen Gooderham (41.William3, 8.George2, 1.William1) was born 7 Aug 1877, Toronto, ON, Canada; died 13 Nov 1952, Toronto, ON, Canada; was buried , St. James Cemetery, Toronto, Ontario, Canada. 218. James Edward Assheton Smith was born 30 Jun 1911, Toronto, ON, Canada; died 7 Jul 1994, Toronto, ON, Canada; was buried , St. James Cemetery, Toronto, Ontario, Canada. 103. George Edgar Gooderham (41.William3, 8.George2, 1.William1) was born 17 Sep 1879, Toronto, ON, Canada; died 6 Feb 1953. 104. Harold Dean Gooderham (41.William3, 8.George2, 1.William1) was born 19 Jun 1881, Toronto, ON, Canada; died 4 May 1945, Caufield, British Columbia, Canada. 105. Edward Douglas Gooderham (41.William3, 8.George2, 1.William1) was born 17 Feb 1883, Toronto, ON, Canada; died 7 Dec 1950, Toronto, ON, Canada. 229. Edward Hargraft Gooderham was born 20 Apr 1909, Toronto, ON, Canada; died 20 Mar 1971, Toronto, ON, Canada. 106. Gordon Stewart Gooderham, II (41.William3, 8.George2, 1.William1) was born 30 Nov 1884, Toronto, ON, Canada; died c.1958, Oakville, Ontario, Canada. 108. John Leys Gooderham (41.William3, 8.George2, 1.William1) was born 2 Jul 1888, Toronto, ON, Canada; died 18 Jan 1967, Toronto, ON, Canada. 109. Eric Stanley Gooderham (41.William3, 8.George2, 1.William1) was born 8 Aug 1890, Toronto, ON, Canada; died 24 Oct 1953, Oakville, Ontario, Canada. 110. Eleanor Mary Gooderham (41.William3, 8.George2, 1.William1) was born 30 Aug 1892, Toronto, ON, Canada; died 7 Jun 1970, Toronto, ON, Canada; was buried , St. James Cemetery, Toronto, Ontario, Canada. 111. Alexander Leslie Gooderham (41.William3, 8.George2, 1.William1) was born 7 Oct 1898, Toronto, ON, Canada. 112. William Gooderham Blackstock (42.Harriet3, 8.George2, 1.William1) was born 25 Nov 1880, Toronto, ON, Canada; died 4 Jul 1920, Toronto, ON, Canada. 249. Alice Blackstock was born 17 Aug 1909. 250. Elizabeth Blackstock was born 3 Nov 1911. 113. Thomas Gibbs Blackstock, II (42.Harriet3, 8.George2, 1.William1) was born 28 Jul 1883, Toronto, ON, Canada; died 25 Feb 1888, Toronto, ON, Canada. 114. Elizabeth Dean Blackstock (42.Harriet3, 8.George2, 1.William1) was born 24 Aug 1886, Toronto, ON, Canada. 115. Gibbs Blackstock (42.Harriet3, 8.George2, 1.William1) was born 19 May 1888, Toronto, ON, Canada; died 28 Mar 1953, Toronto, ON, Canada; was buried , Mount Pleasant Cemetery, Toronto, ON, Canada. 116. Barbara Blackstock (42.Harriet3, 8.George2, 1.William1) was born 25 Jul 1890, United Kingdom; died 2 Sep 1980, Toronto, ON, Canada; was buried , Mount Pleasant Cemetery, Toronto, ON, Canada. 117. George Gooderham Blackstock (42.Harriet3, 8.George2, 1.William1) was born 29 Sep 1892, Toronto, ON, Canada; died 9 Nov 1945, Toronto, ON, Canada. 119. Dorothy Mary Gooderham Blackstock (42.Harriet3, 8.George2, 1.William1) was born 5 Aug 1896, Toronto, ON, Canada; died 9 May 1966, Toronto, ON, Canada; was buried , Mount Pleasant Cemetery, Toronto, ON, Canada. 120. George Gooderham Mitchell (43.Elizabeth3, 8.George2, 1.William1) was born 15 Aug 1878, Toronto, ON, Canada; died 19 Mar 1938, Toronto, ON, Canada. 121. Douglas Gooderham Ross (44.Adelaide3, 8.George2, 1.William1) was born 15 Dec 1883, Toronto, ON, Canada; died 24 Aug 1961, Toronto, ON, Canada. 273. James Frederick William Ross was born 19 Aug 1912; died 1979. 122. Stewart Dean Ross (44.Adelaide3, 8.George2, 1.William1) was born 17 Oct 1887, Toronto, ON, Canada; died 18 Aug 1891, Toronto, ON, Canada. 123. James Wells Ross (44.Adelaide3, 8.George2, 1.William1) was born 9 Aug 1890, Toronto, ON, Canada; died 17 May 1974, Toronto, ON, Canada; was buried , St. James Cemetery, Toronto, Ontario, Canada. 279. Elizabeth Hope Ross was born 19 May 1920, Toronto, ON, Canada; died 22 Apr 1923, Toronto, ON, Canada; was buried , St. James Cemetery, Toronto, Ontario, Canada. 124. Elsie Stewart Ross (44.Adelaide3, 8.George2, 1.William1) was born 10 Sept 1893, Toronto, ON, Canada; died 22 May 1983, Toronto, ON, Canada; was buried , Mount Pleasant Cemetery, Toronto, ON, Canada. 125. Anne Jean Ross (44.Adelaide3, 8.George2, 1.William1) was born 17 Mar 1896, Toronto, ON, Canada. 286. Joanne Ross Fleming was born 1923. 288. Margaret Jean Fleming was born 1 May 1929; died 1964. 126. Albert Edward Gooderham, Jr. (45.Albert3, 8.George2, 1.William1) was born 16 Oct 1885, Toronto, ON, Canada; died 22 Jan 1943, Brooklin, Whitby, Ontario, Canada. 127. Charlotte Olive Gooderham (45.Albert3, 8.George2, 1.William1) was born 10 May 1887, Toronto, ON, Canada; died 12 Mar 1969, Toronto, ON, Canada; was buried , Mount Pleasant Cemetery, Toronto, ON, Canada. 128. Herbert Ross Gooderham (45.Albert3, 8.George2, 1.William1) was born 8 Mar 1889, Toronto, ON, Canada; died 13 Feb 1899, Toronto, ON, Canada. 129. Melville Stuart Gooderham (45.Albert3, 8.George2, 1.William1) was born 9 Aug 1891, Toronto, ON, Canada; died 20 Feb 1967, Toronto, ON, Canada; was buried , St. James Cathedral, Toronto. 130. Marietta Isabel Gooderham (45.Albert3, 8.George2, 1.William1) was born 4 Mar 1896, Toronto, ON, Canada; died 12 Jul 1960, Toronto, ON, Canada; was buried , St. James Cemetery, Toronto, Ontario, Canada. 301. Dorothy Roberta Crease was born 12 Mar 1931; died Jul 20 2014. 302. Charlotte Isobel Crease was born 30 Mar 1927; died 12 Sep 1936. 131. Victoria Louise Gooderham (45.Albert3, 8.George2, 1.William1) was born 24 May 1902, Toronto, ON, Canada; died 23 Dec 1984, Toronto, ON, Canada. 303. unknown Wilkes died 21 Jul 1925. 132. Marjorie Josephine Brouse (47.Florence3, 8.George2, 1.William1) was born 10 Nov 1887, Toronto, ON, Canada; died 13 May 1962, Toronto, ON, Canada; was buried , St. James Cemetery, Toronto, Ontario, Canada. 133. WIlliam Henry Davenport Brouse (47.Florence3, 8.George2, 1.William1) was born 4 Sep 1891, Toronto, ON, Canada; died 11 Nov 1971, Toronto, ON, Canada; was buried , St. James Cemetery, Toronto, Ontario, Canada. 134. Eldridge Dean Gooderham Brouse (47.Florence3, 8.George2, 1.William1) was born 3 Apr 1895, Toronto, ON, Canada; died 5 Dec 1952, Toronto, ON, Canada; was buried , St. James Cemetery, Toronto, Ontario, Canada. 135. Paul Coursollis Brouse (47.Florence3, 8.George2, 1.William1) was born 3 Jan 1898, Toronto, ON, Canada; died 11 Dec 1964, Toronto, ON, Canada. 136. Harriet Dean Brouse (47.Florence3, 8.George2, 1.William1) was born 2 Mar 1900, Toronto, ON, Canada; died 14 Feb 1965, Toronto, ON, Canada; was buried , St. James Cemetery, Toronto, Ontario, Canada. 137. Eveline Grace Gooderham (48.George3, 8.George2, 1.William1) was born 12 Jul 1889, Toronto, ON, Canada; died 16 Dec 1984, Toronto, ON, Canada; was buried , Mount Pleasant Cemetery, Toronto, ON, Canada. 139. Jessie Maude Gooderham (48.George3, 8.George2, 1.William1) was born 28 Feb 1893, Toronto, ON, Canada; died 12 Oct 1993, Toronto, ON, Canada; was buried , Mount Pleasant Cemetery, Toronto, ON, Canada. 140. Harriet Mary Gooderham (48.George3, 8.George2, 1.William1) was born 16 Oct 1902, Toronto, ON, Canada; died 7 May 1997, Toronto, ON, Canada. 141. Henry Stephen Gooderham (48.George3, 8.George2, 1.William1) was born 5 Aug 1894, Toronto, ON, Canada; died 7 Jun 1976, Toronto, ON, Canada; was buried , Mount Pleasant Cemetery, Toronto, ON, Canada. 143. Margaret Campion Acheson (49.Eleanor3, 8.George2, 1.William1) was born 5 Oct 1895, Middleton, Connecticut, USA; died 23 Jul 1960, Washington, DC, USA; was buried , Arlington National Cemetery, USA. 144. Edward Campion Acheson, Jr. (49.Eleanor3, 8.George2, 1.William1) was born 15 Sep 1902, Middleton, Connecticut, USA; died 22 Sep 1966, Great Falls, Vermont, USA. 145. Kathleen Isobel Gooderham (50.Melville3, 8.George2, 1.William1) was born 1 Nov 1900, Toronto, ON, Canada; died 18 Mar 1970, Niagara on the Lake, Ontario, Canada. 146. Charlotte Ross Gooderham (50.Melville3, 8.George2, 1.William1) was born 28 Jul 1912, Toronto, ON, Canada; died 24 Aug 1999, Toronto, ON, Canada; was buried , Mount Pleasant Cemetery, Toronto, ON, Canada. 349. Veronica Beatty was born 1937. 150. John Reginald Bird (52.Violet3, 8.George2, 1.William1) was born 21 Jun 1906, Boston, Massachusetts, USA; died Jan 1987. 151. Mary Elizabeth Bird (52.Violet3, 8.George2, 1.William1) was born Dec 1910, Boston, Massachusetts, USA. 357. George Winslow Clark was born 9 Apr 1937; died 6 Feb 1945. 152. Patricia May Bird (52.Violet3, 8.George2, 1.William1) was born 14 May1914, Boston, Massachusetts, USA. 155. Gladys Webster Huestis (53.Florence3, 10.Henry2, 1.William1) was born 9 Mar 1893, Toronto, ON, Canada; died 1969. 156. Doris Louise Huestis (53.Florence3, 10.Henry2, 1.William1) was born 27 Oct 1894, Toronto, ON, Canada; died 1989. 360. Adelaide Barbara Mills was born 15 Jan 1918. 158. Marion Gooderham Huestis (53.Florence3, 10.Henry2, 1.William1) was born 22 Sep 1898, Toronto, ON, Canada; died 19 May 1971, England. 159. Edith Muriel Gooderham (54.Edward3, 11.Alfred2, 1.William1) was born 17 Jul 1883, Toronto, ON, Canada. 370. John Sheddon Paton was born 22 Jun 1917. 161. Lyman Edward Gooderham (54.Edward3, 11.Alfred2, 1.William1) was born 17 Apr 1887, Toronto, ON, Canada; died 1 Nov 1925, Detroit, Wayne, Michigan, USA; was buried , Mount Pleasant Cemetery, Toronto, ON, Canada. 163. Grant Armstrong Gooderham (54.Edward3, 11.Alfred2, 1.William1) was born 8 Jan 1892, Toronto, ON, Canada; died May 1919, Toronto, ON, Canada; was buried , Mount Pleasant Cemetery, Toronto, ON, Canada. 168. Joyce Harvey Warden (59.Ida3, 11.Alfred2, 1.William1) was born 1 Mar 1906; died 1996. 177. Douglas Vancourt Castleman (74.Helena3, 15.Charles2, 1.William1) was born 23 Aug 1901; died 25 Aug 1956, San Francisco, California, US.